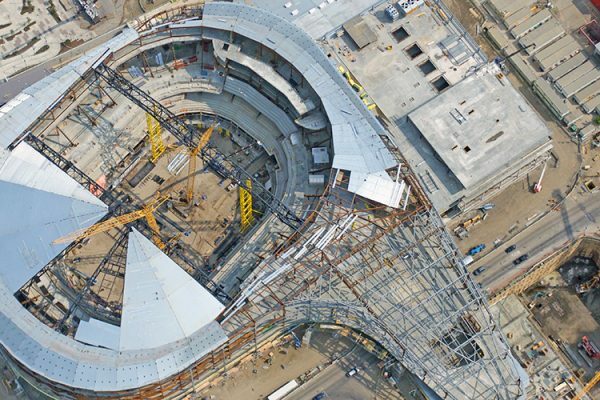 The 54,500 seat BC Place stadium, featuring 22 miles (35 km) of 5.25-inch-diameter (12.7 cm) cables, is the world largest cable-supported retractable roof. 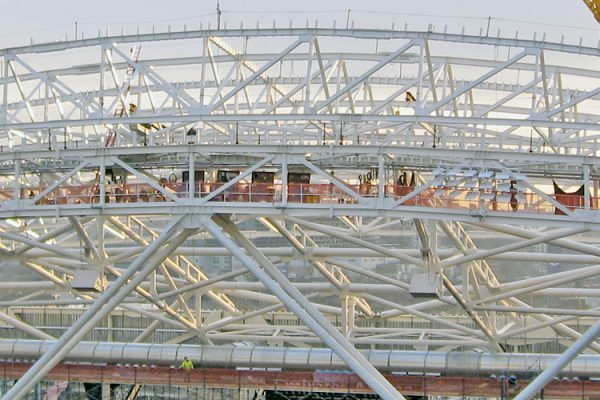 A web of massive steel cables attached to a central node serves to open and close the roof. It takes between 15 and 20 minutes to open or close the roof. The steel structure with its complex design required the fabrication and installation of 36 masts each approximately 165 feet (50 m) tall and weighing 120 tons. 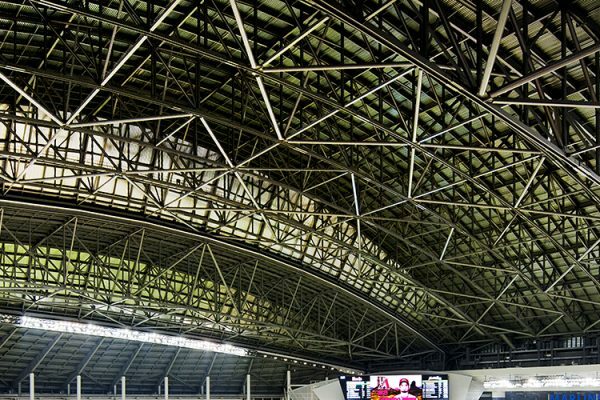 The position of each mast had to be calculated down to the very last millimeter to ensure the proper functioning of the retractable roof system.